Are you ready to change your life to live in an empowered, authentic and purposeful way? Are you willing to journey inwards, explore unknown territory, to be challenged with compassion to unravel and grow? Is it time step into your truth, to expand and really supercharge your experience of life? Empower 200 is a comprehensive and professional 200hr yoga teacher training. Whether you are looking to teach yoga or simply want to develop your own practice and understanding of yoga, this training will take you on a powerful path of transformation. Empower 200 is an extraordinary journey and initiation. 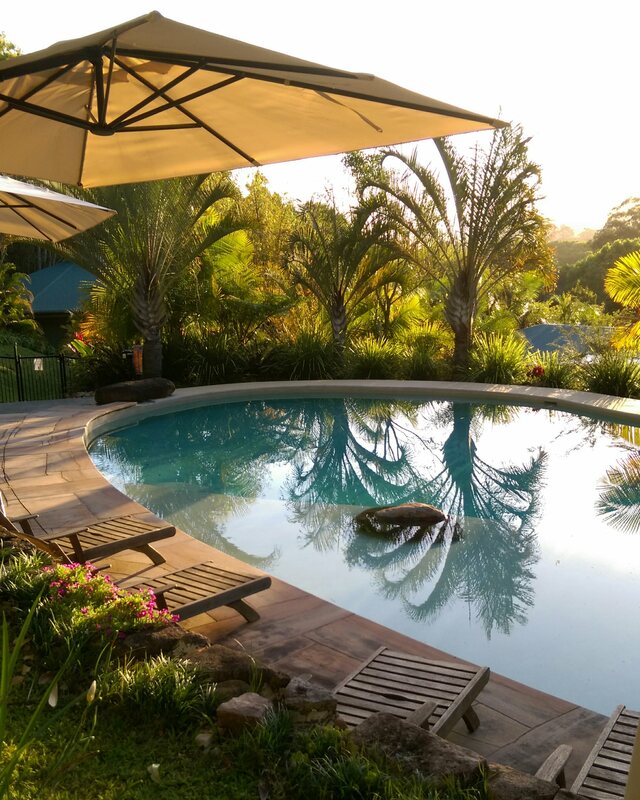 Blended – combination of quality interactive online learning, two non-residential 3 day workshops in Canberra and a deep dive 6 night immersion retreat at the beautiful Gymea Eco Retreat near Byron Bay. Empower 200 is Embody Wellbeing’s comprehensive 200hr yoga teacher training. This dynamic, flexible and experiential course is designed for aspiring and dedicated students. Our yoga teacher training is contemporary, integrated and transformational. This training will give you the tools, skills and structure to teach Embody Yoga professionally and is recognised internationally with Yoga Alliance. Embody Yoga is based on the ancient yogic teachings bringing in a fresh, contemporary flavor for the modern context. This vinyasa style of yoga is a balanced mindful practice – it is intelligent and intuitive, playing with the dance of polarities – yin and yang. Embody Yoga navigates levels: deep physical embodiment, accepting and understanding the emotional experience, refining and expanding the mind and exploring higher expressions of consciousness. Empower 200 is delivered using mixed modalities to ensure it has the flexibility to work with busy lifestyles. The 200hr training is conducted over nine weeks using high quality online learning (70hrs), while retaining the important face-to-face teaching with two x three day non-residential workshops Saturday to Monday) with practical ‘on the mat’ learning in Canberra (60hrs). A six night deep immersion residential retreat is held at the stunning Gymea Eco Retreat centre in northern NSW near Byron Bay (70hrs) – this is where the alchemy of Empower 200 really happens! This training is led by Justine Janssen, a highly regarded Australian senior yoga teacher who co-founded Power Yoga Canberra in 2009. Her approach is authentic and masterful – she teaches from an embodied wisdom, weaving integrated philosophy into her teaching to create a powerful experience for students. Empower 200 students will have direct contact with Justine throughout the course in both the online and face-to-face components, and during the retreat. Justine is supported by skilled team of experienced yoga teachers with specialised areas of expertise. 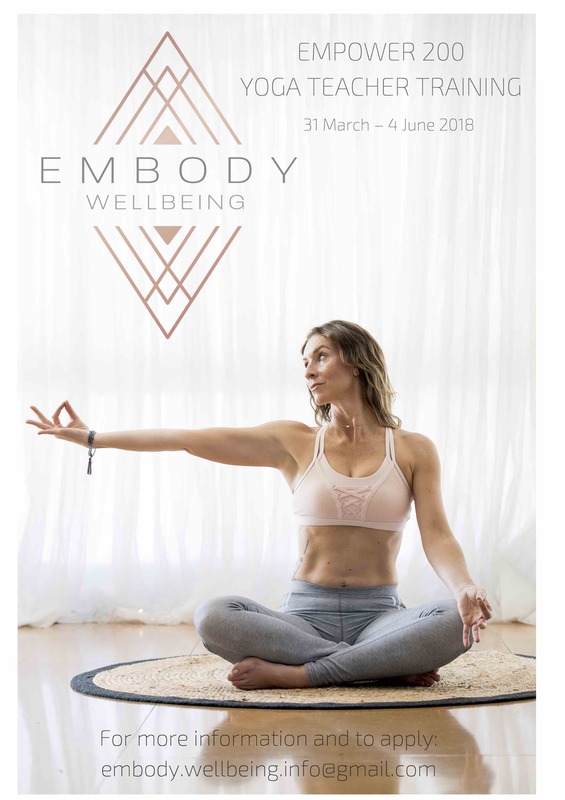 Embody Wellbeing has partnered with world-renowned yoga educators and authors of the best selling text Yoga Anatomy, Leslie Kaminoff and Amy Matthews for the anatomy component of the training. Empower 200 students will have access for a full year to the exclusive online Yoga Anatomy course. A fundament part of the training a six night deep immersion retreat at the stunning Gymea Eco Retreat centre in northern NSW near Byron Bay. The retreat component of the training is an opportunity for students to deeply engage in the material and also into their own transformational journey. This retreat is a full experience – days and nights are full plus there is some time scheduled for relaxation and integration during the retreat. This exquisite retreat space is set in lush surrounds at the base of majestic Wollumbin / Mt Warning in the northern rivers region of New South Wales. 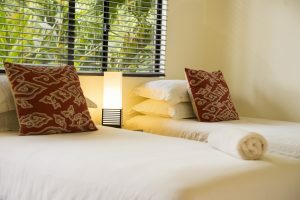 Rooms are eco deluxe twin share and are equipped with luxury 5 star eco inner sprung latex topped single beds. All bedding, manchester and room furnishings have been carefully selected to meet biodynamic or organic certification standards. Each room includes its bathroom. During the retreat, students will have access to a magnesium plunge pool and have a complimentary sauna and steam-room experience. 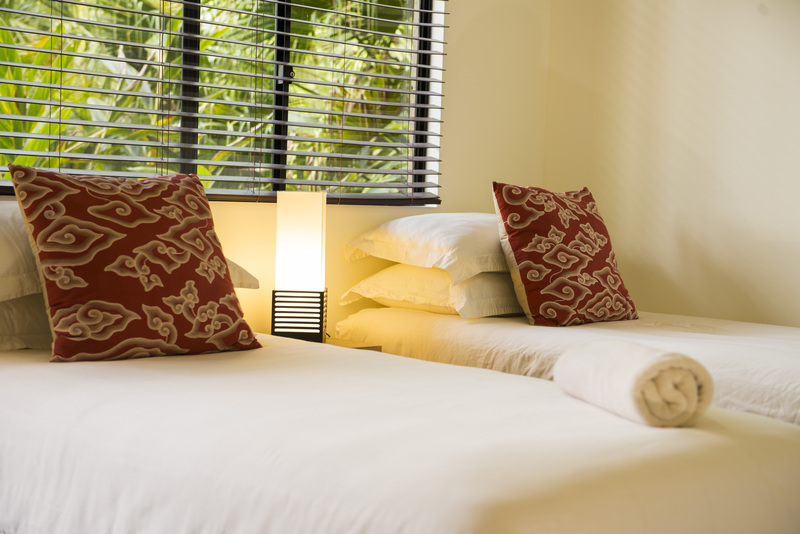 Massage and other healing spa treatments may be organised at additional cost. Healthful, ethical, conscious and importantly (! ), delicious vegan food. Accommodation, food and activities are included in the course fee. Travel and transfers to Gymea are not included. This course is aimed at committed students who have more than 12 months experience practicing yoga and existing yoga teachers who have completed their initial 200hrs but wish to refresh, deepen or expand their teaching with the Embody Yoga style. The curriculum for the course includes comprehensive anatomy and physiology, teaching yoga asana, meditation and pranayama, and yoga philosophy and history. During the training, we go deeply into the practical hands-on teaching – breaking down each asana, exploring functional pose alignment cues, modifications and contraindications, and hands on assisting. Embody Yoga is an integrated teaching – uniting the body, emotions and the mind, the elements and the polarities (often depicted as yin and yang). It is taught with strong presence and mindfulness, energetic awareness and embodied philosophy. Empower 200 students will experience Embody Yoga and learn the foundational features of this style including sequencing principles and the basic Embody Yoga sequences. Students will come away from the course with a strong framework and skills for teaching yoga and will learn about setting up a yoga business and working in studios and gyms. Embody Wellbeing facilitates advanced yoga teacher training. After completion of Empower 200 (or other recognised 200hr yoga teacher training qualification and a minimal number of teaching hours completed) students may apply for the Embody 85 and Yinbody 85 professional development training.